The most crucial line on your hand is the Line of Head. You must pay your attention to it. Thus you may understand the clear idea of Mentality. The left hand of human being describes the innate tendencies. And the right hand describes the sophisticated and refined qualities. Hence you should compare both the hands very carefully. The smallest differences in markings from leftward to rightward directions must be watchfully remembered. The finishing of the line or the direction must be noted clearly as it may describe the inclination towards the right path for development. If you find that the finishing of the line leaning to the down in left hand as well as the right palm’s line is going across or straight then you may be practical in nature by the circumstances in his life. Thus you get an insight to the early situations of your life under invaluable examination. The Line of Destiny is not visible in the early days of your life. If the Line of Head is placed accurately in the identical position on both hands then you may not face any injuries in your early days. You may go through a favourable condition. It may allow you to improve your usual bent of Mentality. If your left hand executes a spilt ending to Line of Head and the right hand executes the straight line, you may inherit two characteristics from your parents. One is the imaginative power and another is practical power. You may select the practical power to improve in the way of science or business in the later part of your life. Generally, the mental qualities of the boys resemble with their mother. And the mental qualities of the girls resemble with their fathers. If in the left hand of a man has split finishing with the higher end straight then you may say that your mother is more practical than your father. The man gets and sophisticates the mental characteristics of his mother than that of his father if the same mark in right hand turned into clear one. In case of woman it may be exactly opposite. If the lower line of man’s right hand is more improved then the man may get artistic or creative power of his mother. In case of woman it may be reversed. If the Line of Head seems faint or light on the left palm and clear and strong on the right palm then you may not inherit anything to your parents. You may improve and sophisticate your own mental capability. In this case, you possess a powerful mentality. The 1st one is most unsure of all. You may be over-cautious, over-sensitive, timid and nervous. You become excited easily. You may not control your temper. You are prone to do most unpredictable things. You make issue with a trifle matter. You may always face difficulty. You become upset easily. If this line is straight then it means that you may overcome your over-sensitiveness through your improve intelligence in the later part of your life. If Line of Head is bent down or slope much to the wrist or the Mount of Luna, you may become much sensitive in your later days. If this line is marked poorly then it may be the indication of getting mad in the later part of your life. In addition, if you possess upper main line, like the Line of Destiny, declining out over the centre of the hand then it is obvious that you may become mad. This type of Head Line is mainly found in the cases of those who possesses inclination to the drink and gluttony of every account. Though the good lines exist in the palm, it is normally found that you possess the inclination towards drugs. The characteristics of Mount of Mars (from here Line of Head begins inside Life Line of Hand) is mainly the reason of the oddness above mentioned. The revered Mount of Mars on the palm assists to control over mind. Hence, if the Line of Head expires on the palm, it participates on the quality of Mental Mars. Hence you may be able to control your mentality in the later part. Alone this point is very precious to the parents. If they examine it carefully then they may assist their children to improve their mental ability. The placement of this line shows an extremely insightful character. It inclines to the side of concern and short of self-confidence (2-2). The clever people also restraint themselves too closely for this sign. They underrate their talents and abilities all the time. If this line is inclining a bit downwards, your sensitiveness is increased much more. This type of hand mainly belongs to the painters or artists. If the Line of Head merged with the Life Line and runs across to the Mental Mount of Mars (2-2) then in spite of being sensitive, you may possess better nerve in your opinions. 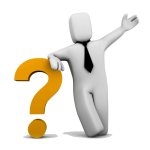 If your Line of Head is straight then you may be more depended on carrying out your decision. Hence, it is observed that nervous and sensitive people are determined to carry out their moral responsibility. When the Line of Head go farther across the palm and straight to the Mental Mount of Mars then it shows a very powerful may people who are capable of hiding his nervousness and sensitiveness. He successfully carries out his moral responsibility. The distinctiveness in the examination of these 2 different classes of lines has caused a lot of examples for making mistakes in the judgement. If the Line of Head is split (3-3) at the time of merge and when the divided lines are same to each other then it denotes a definite want of conclusion. You have the inclination to balance between the 2 characteristics of brain, the imaginative and the practical power. You must act according to your 1st desire either in trading with imaginative or practical things. Thus you may utilise the instinct of your brain. And you must not dither or fluctuate too much thinking over questioning to watch both parts at once. If the inclining Line of Head possesses a gentle bend downwards to the Mount of Moon (1-1) then it denotes the divergent control over your imagination. If this line curves very much down the Mount (4-4) then you may be the slave of your thoughts. Normally you do unpredictable and abnormal things. You only act depend on your mood at that very time. You may make good results in arts and creative field like those who possess this line cleanly bending downwards to the Mount. 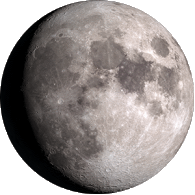 If the Line of Head bends fully down and gets a turn with curve, such as under the foundation of Mount of Luna (5-5) then you have the inclination towards extreme gloomy thoughts. You are a very sensitive person. You separate yourself from the others. You live a lonely life or commit suicide. Your life turns into an unbearable one for your excessive sensitiveness. One must not perplex this configuration with Line of Head bending down right through the upper part of Mount (4-4). In this case, it is going down to the wrist. There is no scope of making suicidal attempt if a star or an island is not placed at the finishing line. In such cases excessive imagination and excessive sensitiveness are present along with the inclination towards gloomy and melancholy life. There is no chance of breaking down the brain under tension as it happens in other cases. Most of the time the Line of Head is found to be connected with the Life Line than it is divided. If the space is narrow (3-3) then it is an outstanding mark. It provides the freedom in thinking. It gives you the ability to quick judgement. Most importantly it helps you mentally which help you to fight against the worst condition in life. If the Head Line at that time is lying quite level across the hand then you possess an enormous strength over other people. You may be less serious student than those who possess Life Line and Head Line together. But you have the talent and you are capable of thinking quickly that is a nightmare to the others. But you with Open Head Line should have aim in life. Without aim you are like a good for nothing. In this type of line the sloping is unsure of both Line of Head and Life Lines’ characters. The reason is you like to work depend on your mood. In spite of your brilliance and cleverness, if your mood does not come in work then you often misuse your time by doing nothing. If you possess the Open Line of Head rising a bit upper to the Mental Mount of Mars (3-3) is normally unauthorised leader or organiser of a public movement. You sacrifice home, all the ties, affection, everything for what you think is your responsibility towards the public. If the Life Line is open and divided from Line of Head then you become sensitive or cautious (4-4). If the space is wide then you are extremely impulsive. You change your plan continuously. You have bad name. If the line of Head is extremely separate or open from the Life Line then your brain likely to be a really excitable one. You suffer from all the matters which affect your brain like the disease of mental hysteria, huge blood to your head, sleeplessness. When Line of Head is poorly shaped with islands or broad lines with the breaks and hairlines (1-1) then it is another type of lunacy. The Line of Head with the islands denotes the character who may be excitable and tempted person. If you possess this type of line, you may kill other people too. If Line of Head is not widely divided and one of its end is starting from the Mount of Jupiter or its main branch (4-4) then you may possess a significant sign in your palm. You have to watchfully set up the distinction of Line of Head in your own mind besides the ending or termination of this line. If these 2 points have strongly set up you may be famous. You should know the meaning of “islands” in Line of Head as it is considered in the relation to mentality and age. The main rule which you should remember that it shows the weakness of a line wherever it is found. It is considered as the unfortunate mark. If it found on Line of Head in the shape of unremitting chain (1-1) right through the line then it means you possess weak mentality. But usually, it creates bad heath which affects your brain more. This type of illness in brain if found in your nails executing very tiny “moons” or nothing at all then it means that you possess the blood’s anaemic condition which affect your brain. It prohibits you to make a nonstop effort in respect of your may power and study. It causes you to behave in an unpredictable fashion. In due course, if the Line of Head is located very high in your palm then it still denotes bad meaning. And you may be going to be half-lunatic in a period. If the Line of Head is separated widely from Life Line then its formation is much more highlighted and incurable. You may not be able to control over your mental excitement. And at that very moment you are liable to get very angry and commit rash behaviour. Your behaviour is dangerous to the others. If Line of Head is sloping excessively (2-2) with the configuration of islands then you have the inclination towards depressed and melancholic life. At this time, you may stay away from public. You may commit suicide also. 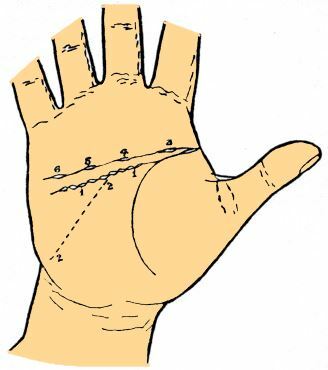 One more significant point in respect of islands in Line of Head is to note its location on the line or on which finger it appears. If the islands are observed at the beginning of this line under 1st finger or Mount of Jupiter (3) then you have no wish to study. You do not possess may power. You spend an aimless and lethargic life. In case of 2nd finger or Mount of Saturn (4), you may suffer from gruesome, headache and melancholic life. You may possess an inclination to inflame yourself at the foundation of head. If this line seems frays or weak into the little hairlines then you may never recover systematically from problem. You may suffer from short sight and eye problem in case of 3rd finger, Mount of Sun (5) is an island. If there are many islands then you may suffer from blindness. If the islands are placed at the 4th finger then Mount of Mercury (6) and the edge of Head Line indicates you may suffer from brain problem and extreme nervous problem in your old age. If it marked very badly then you may likely to become lunatic in the latter half of your life. It is seen that each part of this significant line can be separated into sections to get amazing details for making the future predictions. The duration of life under the 1st finger is first 21 years of your life. The duration of life under the 2nd finger is next 21 years (21 to 42) of your life. The duration of life under the 3rd finger is from 49 to 63 years of your life. The duration of life under the 4th finger is from 70 years to the end of your life. A very interesting point in reading Line of Head is observing the definite changes in this line’s location or rising or dropping of lines. It may give you very important information. When the sloping Line of Head at one point in its way likely to bend or curve to the upper position (1-1) then it denotes that you are facing some odd strain in your life. If the bent line is evidently marked and not obstruct with anything then you get some success though it is exactly opposite of your characteristic. If the bend line is leaving Line of Head in the upper direction (2-2) that stage may leave a strong mark on your character for the rest of your life. In few cases, after some years this line seems to develop more powerfully. Even it may become a 2nd Line of Head also. It indicates that you continue the realistic side of your nature. If you are observing a straight Head Line and observe a bend towards the down or a line increasing downwards from this (3-3) then the normal prediction of such a sign is you become an unrealistic person. You are living in imaginative world. It also indicates that you possess a prosperous life in due course. Hence you are capable of developing the imaginative side of your character. It is reasonable to predict that you have faced few struggles in your life. But it is supposed only at that time when the Sun Line was observed distinctly or becoming visible on your palm all of a sudden. When the Line of Head bends to the upper direction, particularly at the end to the 4th finger or Mount of Mercury (4-4) then it clearly indicates the longer you live. Your desire for wealth may become more and more. 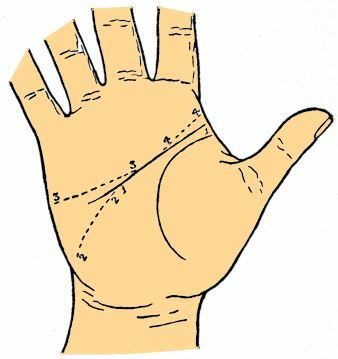 If the Head Line obviously leaves its actual location that may be seen by the observation of your left palm and rises completely to the Heart Line (5-5) then you may improve an enormous security. You may intentionally and distinctly control the loving part of your character by your will-power. You may fix at nothing to get the grasp of whatever you wish. If you possess square thick-set looking palm and this mark is located in your hand then it is inevitable prediction that you set your determination on material things like wealth. You may never stop even it is crime for fulfilling your ambition. 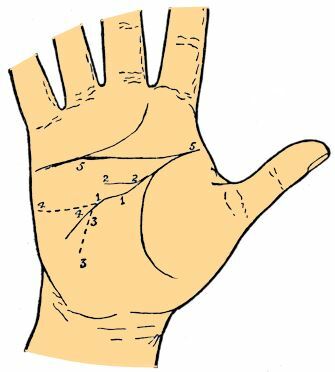 If you have long palm and possess this sign then the entity of your aim is obviously to be related with logical power over people. And you may possess a strong determination to achieve it whatever the reason of your career may be. This sign should not be perplexed with the clear line going through the palm from left to right as the Head Line has not climbed out of its location. It indicates the marvellous strength of your character either for bad or good. You show an immense power of attentiveness. If you set your heart or love to any person then you may unite it with your desire. This type of people is very rare. If you are in this category then you may have no friends. Hence you may feel lonely and exhausted. You are excessively sensitive. Anyone can hurt you easily. You have very small chance to get success in your life. If you work alone then there is a cit chance to get success. But if you are connected with any kind of partnerships in business or such as then you may not be able to get success. Your personality may be restricted. 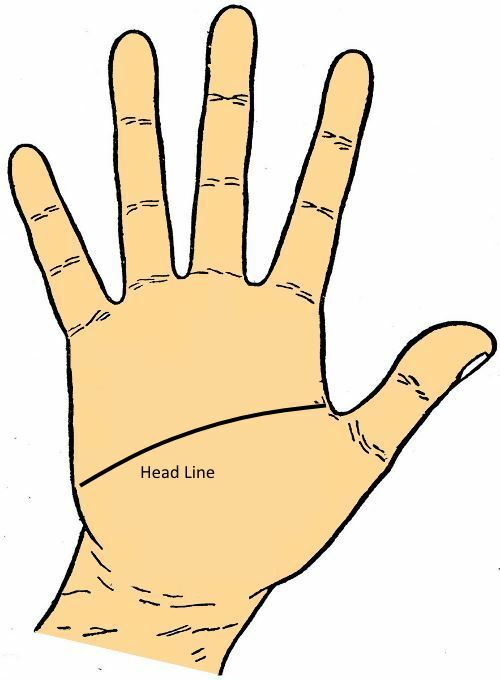 If this line across your palm lies across the middle where the Line of Head normally locates then you may be sure that it is a fact of head and mental condition and a bit of heart. If it lays higher part to the base of fingers where Line of Heart normally locates then you may be certain that it is a fact of feeling love and emotion than feeling the intensity of mind. Tiny and acute crosses in any part touching or just over the Heart Line are usually the marks of accidents to Head. Normally it is brought about by gusts caused by your wish to govern and to be too rigid and oppressive under Jupiter (1). The crosses denotes your head injuries by the animals, mine explosion etc. under Saturn (2). Normally it is happen to the unfaithful person. The crosses indicate the head injuries from sudden falls like anything strike your head by falling under the Mount of the Sun (3). Your head may injure owing to scientific experiments or few risky business projects under the Mount of Mercury (4). Tiny clear squares touching Head Line (5) are always denotes preservation. It connects with the specific features of Mount of the hand. 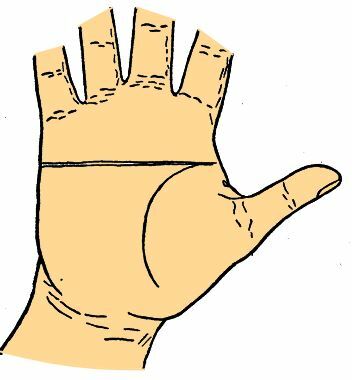 Double Head Lines (6-6) are very rare like the single line right throughout the hand. In this case you may possess a dual state of mind. Normally you are able to do an ample quantity of mental work successfully. It is found frequently that one line is connected with Life Line and another is starting from the Mount of Jupiter. In this case, one part of your nature is full of excessive cautiousness and sensitiveness and another part is full of self-confident along with the wish to govern its mental data on the earth. Double Head Line gives you an extraordinary mental power. But it is found that one distinct Head Line in the palm is more successful than the Double Head Line. 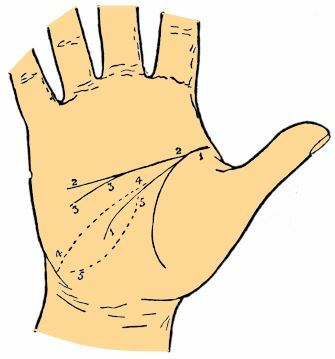 One more formation of Double head Line (7-7) is when the main line likely to divided into the centre of your palm and when 1 branch goes through the palm and another goes downwards to the Mount of Moon. In this case, you may possess double mental characteristic. The 2 mental characteristics are likely to behave separately. It is believed by many that when it is seen in 2 clear lines then it is symbol of inheritance of huge power or wealth. As per rule, the Head Line is normally found along with the kinds of hand that is seen or lying straight, i.e. 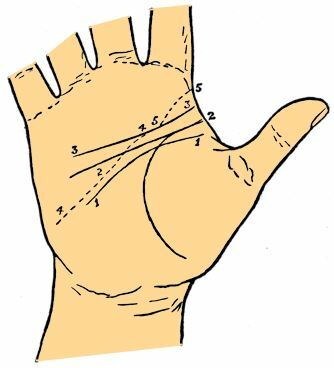 “level-headed” on Practical or Square-looking hand. It denotes the more artistic characteristic of Conic, Philosophic and Psychic types. Hence, if this line is found on the opposite class of hand the Head Line possess more importance. If the inclining Line of Mentality is found on the Practical or Square hand then it denotes that you have a great strength of imagination than others though your bases of thinking is practical. If the Head Line is found level or straight on the Philosophic, Psychic, Spatulate or Conic types then you are practical though you have the tendency to think about unrealistic creations or high dreams. On your Elementary hand, the Head Line is normally found straight, short and vulgar looking. But if it found distinct and long then you may have an extreme mental improvement in a vulgar animal or brutal nature. If you have Square-looking palm and the Head Line is found inclining instead of straight and long then your abnormal improvement in imaginative virtues is occurred along with logical and realistic basis. Normally in a Spatulate hand the Head Line is clear, long and sloping. If it is found straight then your practical improvement in brain may occur. Generally, the Line of Mentality on a Philosophic hand is sloping and long. If it is found straight then your practical and logical development in your minds may occur as it is not expected to this type of person. The similar rules grasp good with Psychic and Conic types. But in case of Mixed type, the best Head Line may be one, straight and long as this is the class of mixture.